Does Samer Zakharia transform metals into gold? It’s certainly with reference to the mythical alchemist of the fifteenth century that the visionary entrepreneur decided to call his company “Maison Flamel”. To some people cosmetics is regarded as the art of trickery, in other words concealment that leads the world to ruin… Making fun of these myths, House Flamel opposed an ameliorative cosmetics design by sanctifying the fundamental elements of water, air, copper and gold. The micellar gel in the form of a creamy fluid, cleanses and soothes the skin while reducing puffiness around the contour of the eyes. The AIR multi-soothing serum, protects, detoxifies and re-energizes. The component CU2 +, with a refreshing wood scent, smooths, lifts and stimulates. 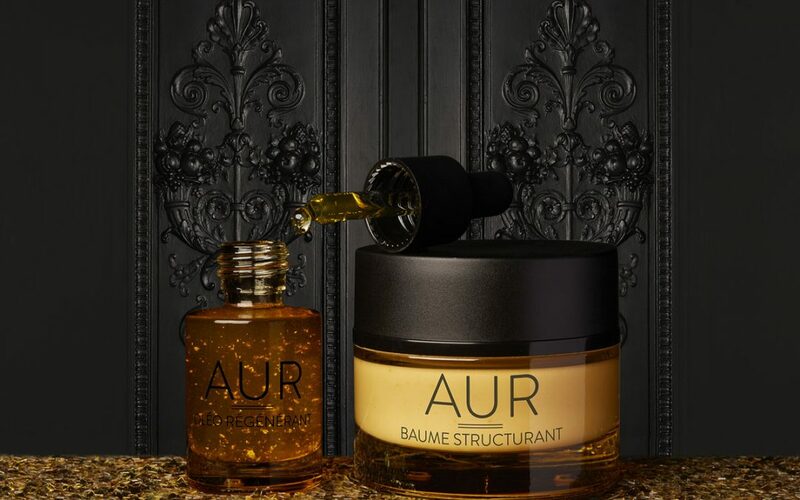 The alchemy comes close to magic, ensuring pure radiance thanks to the new generation, rejuvenating oil-based serum AUR containing fine particles of gold. Its oil-gel texture melts on the skin without feeling greasy and accelerates cell renewal. Mimicking Baudelaire and his hymns to beauty: Maison Flamel “makes all things more beautiful” and ensures “eternal brightness.” Exceptional products available exclusively at very beautiful addresses for (those) who, like Lamartine, requires Time to pause its flight.